Juicy chunks of fresh cod on a bed of crisp lettuce, served inside a twice cooked crunchy taco shell with tangy salsa and chunky guacamole. Knock up these fish tacos by laying the meaty chunks of fresh cod in a large bowl and sprinkle over the Garlic & Paprika seasoning mix. Gently shake the bowl to evenly coat the fish in seasoning mix. Heat a drizzle of oil in a large pan and fry the seasoned cod for 2-3 minutes each side until cooked through. Remove them from the heat, place in a bowl, cut into smaller strips and squeeze over the lime juice. 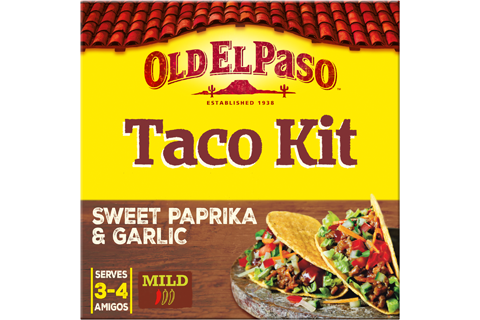 Warm the Crunchy Taco shells, following the instructions on the box. Then lay out the lettuce, salsa, guacamole and crunchy tacos, ready to fill your taco shells. 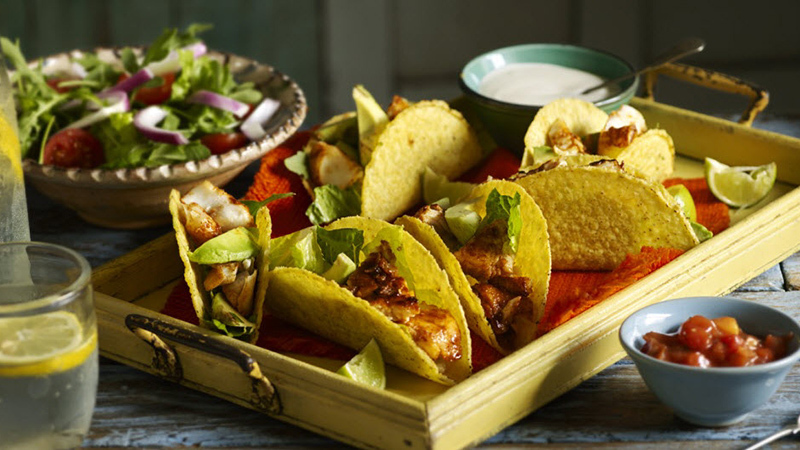 Get the whole family together and each grab a a warm crunchy taco shell and fill it with lettuce and fish before topping with some Thick 'n' Chunky Milk Salsa, Chunky Guacamole and a sprinkle of freshly chopped coriander.